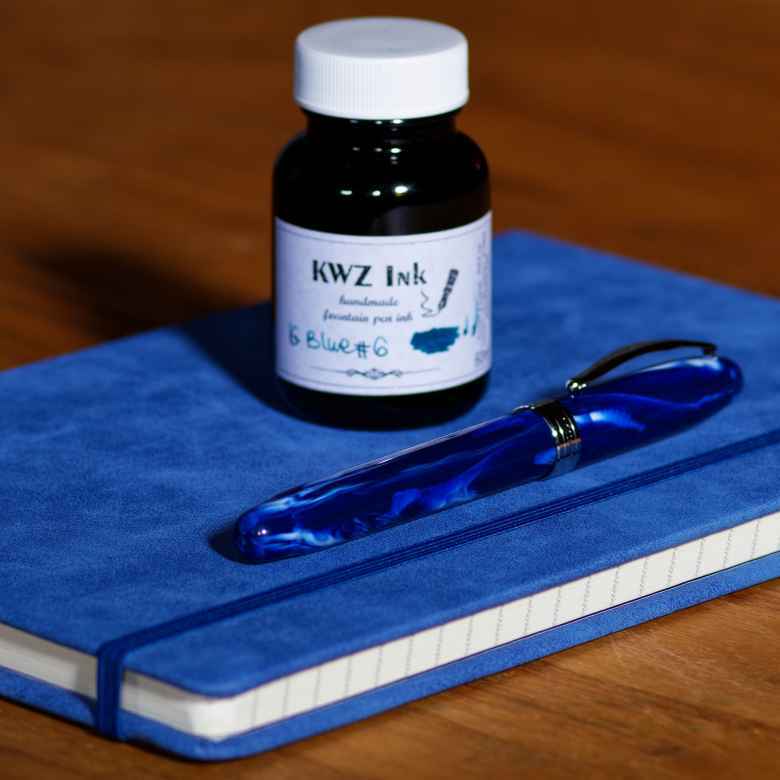 Wherein my Lapis Inferno Noodler's Ahab (IF) is paired with KWZ IG Blue #6. This is a straightforward combination. My youngest said she loves purple and blue (now she says she loves pink) so I alternate between purple and blue. This is my waterproof blue option. I bought this pen specifically for her diary, and when I turn over the diaries to her (probably when she moves out of the house once she’s all grown up) I’ll give her the pen as well. So in a way, this is not my pen.